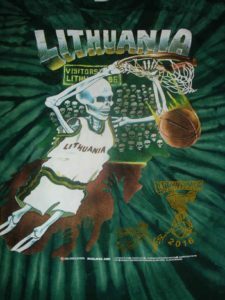 1992 Lithuania Tie Dyed Slam-Dunking Skeleton Jerseys Reissued by Original Creator Offers Public Chance to Own Part of Sports History. 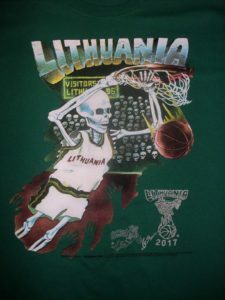 The 25th Anniversary Edition of the original 1992 Lithuanian Tie Dyed Slam-Dunking Skeleton T-Shirts from the Barcelona Olympics are reissued by their original creator and available from www.skullman.com. 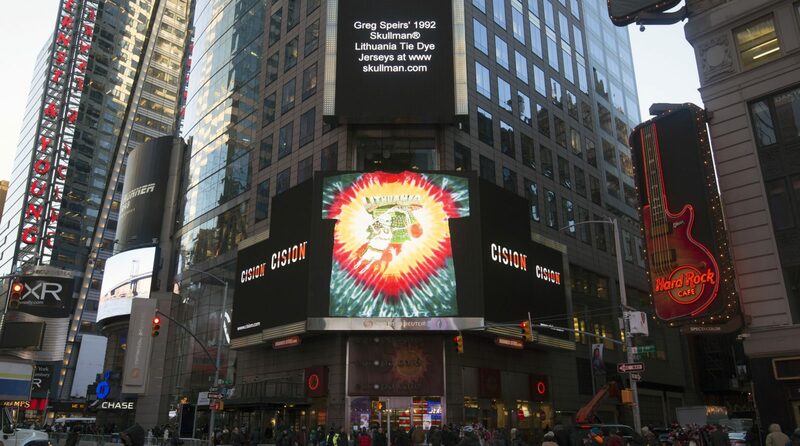 Created 25 years ago by NYC artist licensor Greg Speirs, the tie-dyed Slam Dunking Skeleton uniforms became international news on the world stage of the 1992 Barcelona Summer Olympics. The jerseys were worn by the Lithuanian Men's Olympic Basketball Team on the bronze medal podium becoming part of sports history as one of the most unusual and memorable moments of the Olympics. The Slam-Dunking Skullman® became a focus of pride for the team, part of Olympic history as a legendary piece of Lithuania's basketball culture now forever part of the folklore of Lithuania. 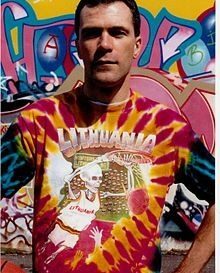 Greg Speirs' 1992 Lithuania Tie Dye Skullman® basketball uniforms are now forever part of Lithuania folklore. Original Skullman t-shirts are available from www.skullman.com (1992 Copyright & ® Trademarks of Greg Speirs / Licensor). The 25th Anniversary Edition is a release of Speirs' Original 1992 Skullman® Slam-Dunking Skeleton on green jerseys with trademarked skeletal hands slam dunking flaming basketball on back.